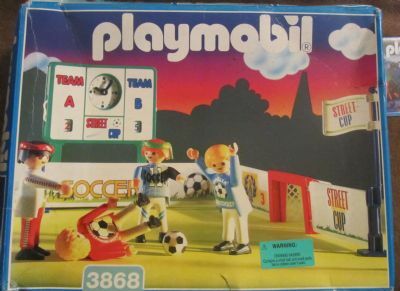 One of numerous football sets created by Playmobil. 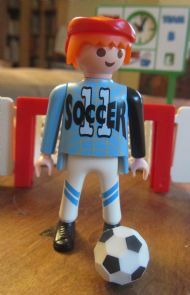 I am resisting the temptation to collect all the different Playmobil football figures! 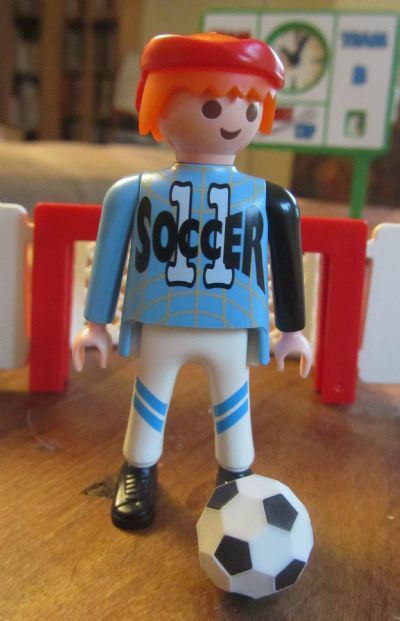 As always this Playmobil set is bright, robust and very attractive for children. 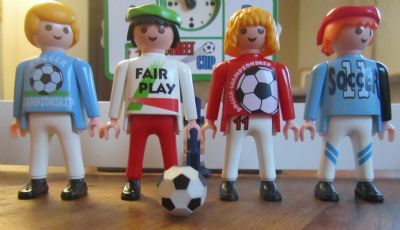 As ever a good photo of the contents on the Playmobil box. 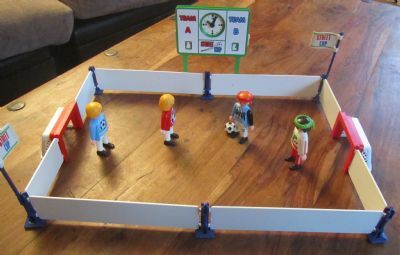 Really well thought out set with barriers, goals, flags, 4 players, ball and scoreboard. Street wise kids in their smart street gear! 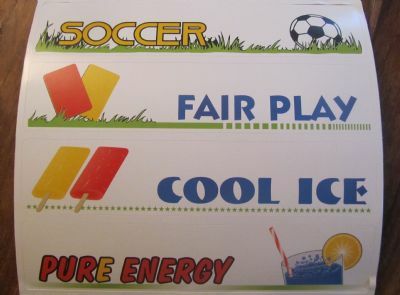 The designers had a bit of fun creating the pitch advertising boards. Red headband with ginger hair - what would Gok say?